« My First Attempt at Mixed Media! What I’ve Been Working on This Weekend! It’s turned out to be a fairly nice day here in Seattle…Hope it is where you live as well! 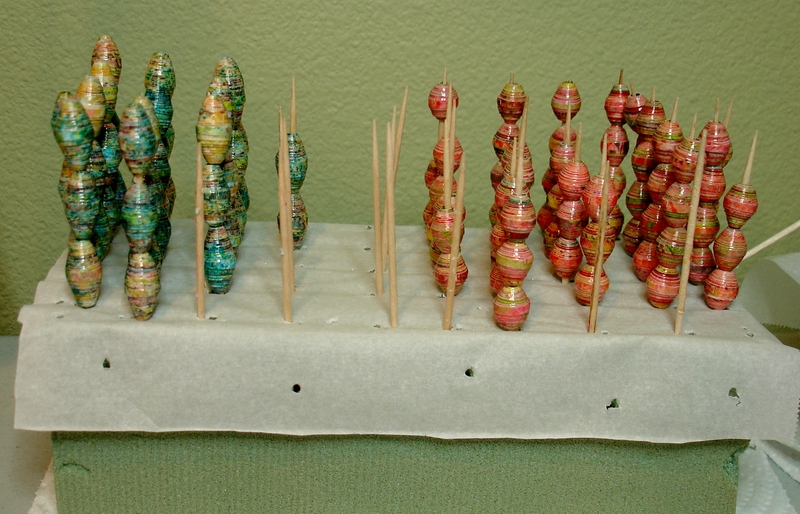 As you can see, I’ve been busy working on beads this weekend! It seems whenever I get going on several sets at the same time, other things seem to get put on the back burner…Housework, My Etsy Shop, etc. But I guess sometimes, that’s the only way I can get new things completed! 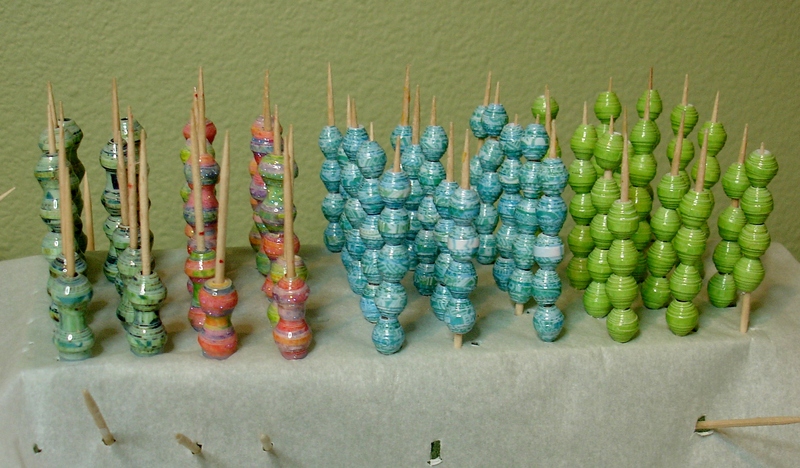 The beads above are all drying and hopefully will be ready to list by tomorrow! I’ve been on a paper hunt for new and excited designs and feel I have enough to keep me busy half way through the summer! How about you? What are you working on this weekend? I’d love to hear about it! Well the weekend is over but AWESOME beads!!! Love em! Yea – same for me – when I create – nothing else gets done – I call it the awesome creative mind! Thanks for sharing as always. As for me, going through all my expired etsy listings.